Сборная Великобритании - чемпион Олимпийских игр 1908 года. 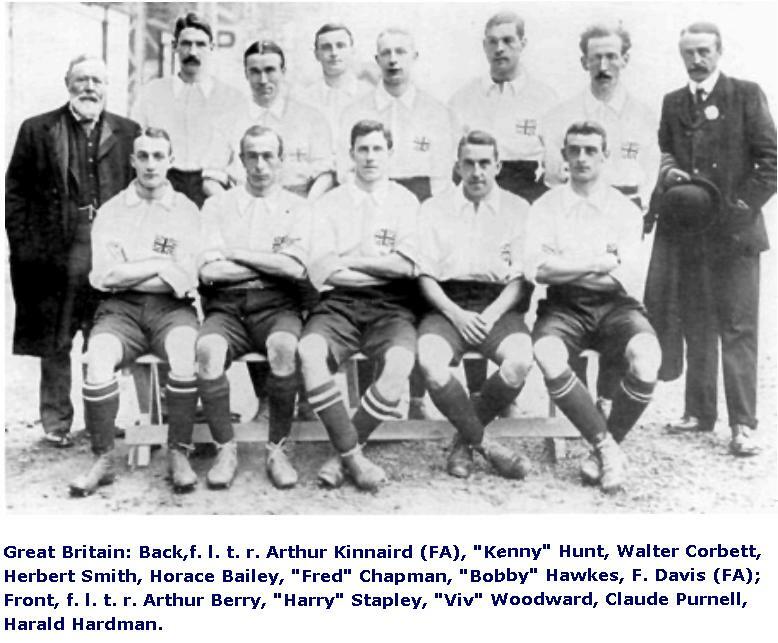 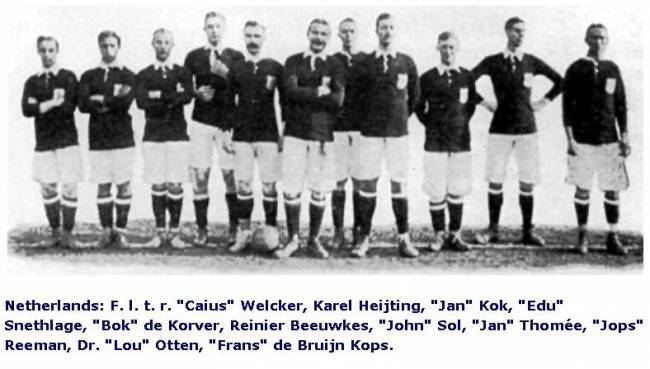 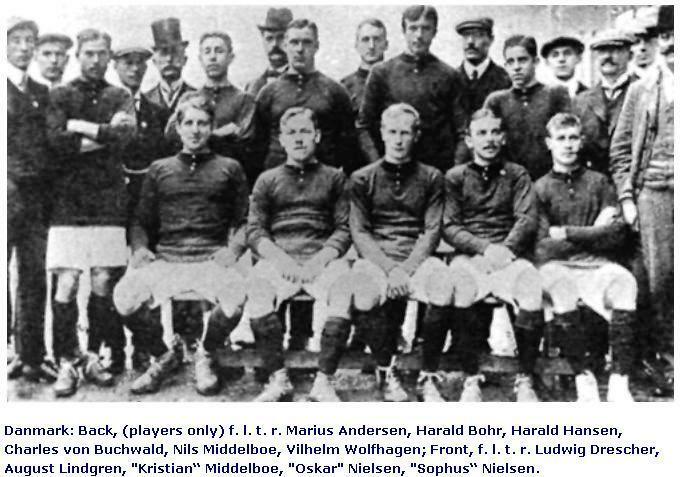 1908 Olympic Games, London, England, The Great Britain team, Amateur XI, winners of the Gold medal. 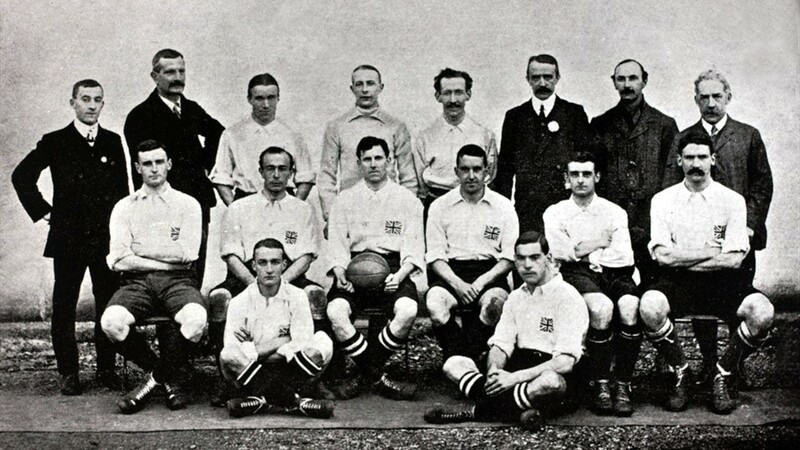 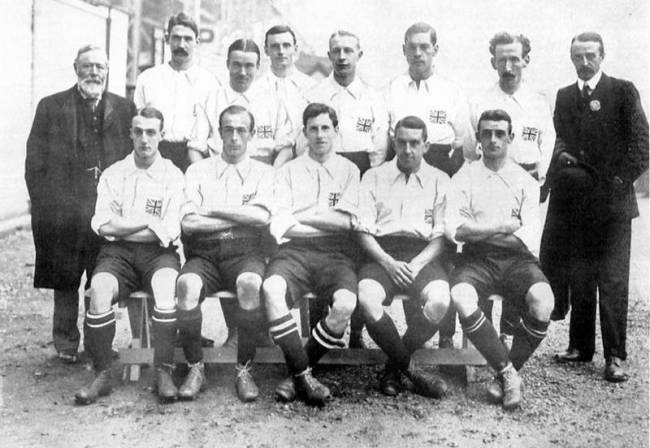 1908 The Great Britain Olympic team which won gold: (back row, l-r) reserve George Barlow, linesman F Styles, Walter Corbett, Horace Bailey, RM Hawkes, FA Council member A Davis, linesman JR Schumacher, referee J Lewis (middle row, l-r) Herbert Smith, Harry Stapley, Vivian Woodward, CH Purnell, Harold Hardman, Rev Kenneth Hunt (front row, l-r) Arthur Berry, Fred Chapman. 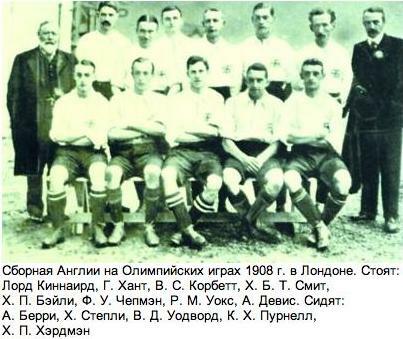 Сборная Дании - 2-й призёр Олимпийских игр 1908 года. Сборная Голландии - участник Олимпийских игр 1908 года.